Our code is modularized, but Karma, our cross-browser testing tool, doesn’t support CommonJS Modules. 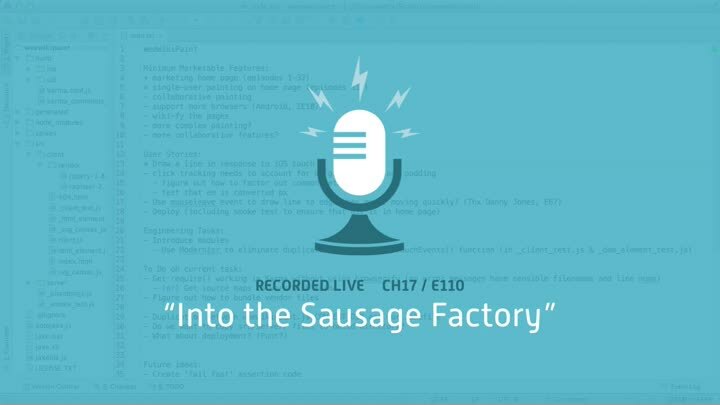 In this episode, we dive into the sausage factory with a new chapter focused on enabling CommonJS support in Karma. We review the problem and how we’re going to tackle it, then start on a Karma preprocessor for CommonJS modules.